If you are interested in knowing what maltipoo puppies we have available, and what their cost is, please take a moment to look at our Puppies for Sale page. We keep our website very current, so any maltipoo puppies for sale posted on our pages are still available unless marked with a "reserved" or "adopted". Please feel free to email me (Sara) with any questions you have about our maltipoo puppies for sale, or their breed characteristics. I am also glad to visit with you over the phone. I am available 8:00am to 9:00pm CST Monday through Saturday. If I do not answer the phone, please feel free to leave me a message, including your phone number and the best time to reach you, as I will be glad to return your call. We welcome visits by appointment Monday through Saturday. Please call or email to make an appointment. 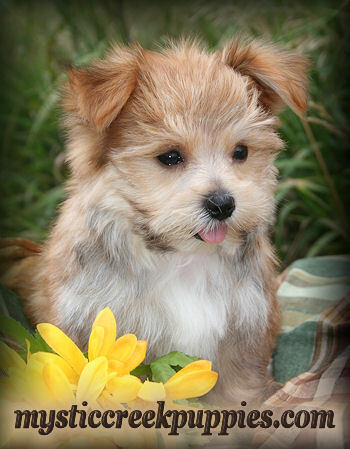 Select the maltipoo puppy you want from the “Puppies for Sale” page. You can then call us at 815.848.4354 or email. We will confirm availability and answer any questions you have about the maltipoo puppy for sale. If you decide you have found the right maltipoo puppy, your payment options are cash, check, Visa or MasterCard. If the maltipoo puppy for sale is less than eight (10) weeks old, we require a nonrefundable deposit to hold your puppy in the amount of $500. If the maltipoo puppy is over eight (10) weeks old, we require the purchase price to be paid in full. Illinois sales tax will be collected unless the puppy is shipped. You must then decide whether you will pick-up the maltipoo puppy or have it hand delivered to a major airport near you. We will gladly make all flight arrangements for your puppy’s arrival. We will need to know what dates and times work for you to pickup your maltipoo puppy. We will give you the puppy’s guarantee, puppy care information, shot/health record and the purchase agreement for you to read and sign. If you will be picking up your maltipoo puppy here, you will receive all the above at that time. We are available to answer any questions or provide support for your new malipoo puppy as he or she grows. You can call us, email us, or send a letter. Don’t forget to send pictures. Finally, ENJOY your new little puppy!! 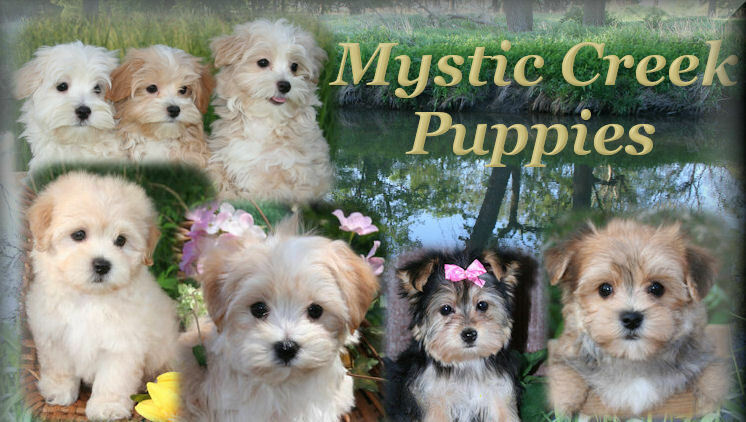 ©2003 Mysticcreekpuppies.com - All rights reserved.